Getting a discount is something that everyone appreciates. No matter whether the amount of money saved is large or small, getting a deal feels really good! Jamie Ratner has always loved finding good deals and recommending them to others. After earning a BS in Criminal Justice from Penn State University and an MS in Security Management from Northeastern, Jamie worked as a security manager for Williams & Connolly, a prominent law firm in Washington, DC. But her real passion was writing a blog called “Little Miss Fun Finds,” focused on the DC area, recommending local restaurants, stores, and fun activities. Jamie had begun the blog in her early twenties, but continued to post on a daily basis even after her children were born. She was so dedicated to this mission that she admits the blog was like a religion to her and she never missed posting, even when she was in the hospital giving birth! 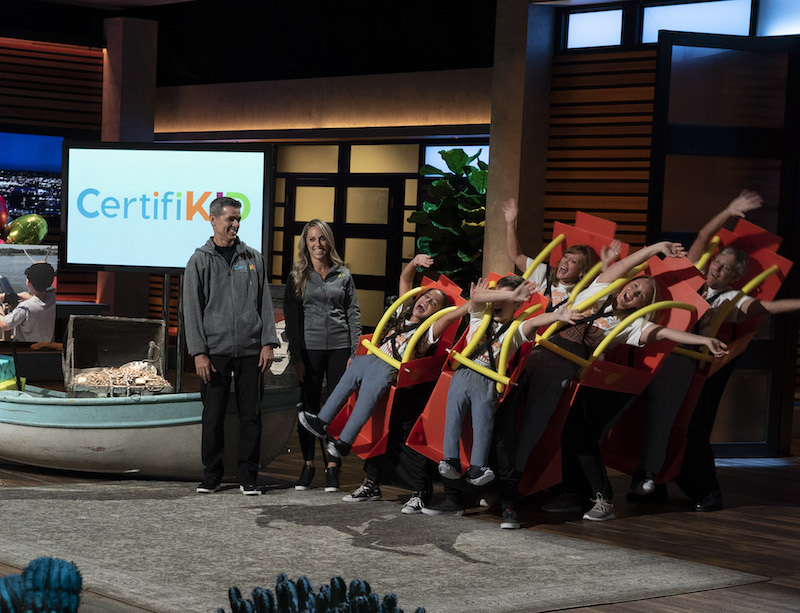 After Jamie came up with the idea of CertifiKID, and began to grow that idea into a thriving business, she was forced to give up her original blog to devote the necessary time and effort to CertifiKID. But she kept her commitment and dedication, determined to make her new venture a successful, high quality site. Not only does CertifiKID provide information on activities and offer deals from local family-oriented businesses, but also a blog full of general parenting advice, links to pertinent publications, and articles from everyday moms and dads. In 2010, Jamie and her husband, Brian, took $5,000 of their own savings and Jamie began working on building CertifiKID from her kitchen table. She describes the first few years of the business as “a roller coaster ride with ups and downs.” Completely new to the business and marketing world, Jamie recalls phone conversations with local businesses during which she would Google terminology specific to marketing or business concepts that were being discussed. Looking back, Jamie admits that perhaps starting a business while parenting her two-year-old son and 9-month old daughter might not have been the best timing! However, most entrepreneurs probably experience a similar roller coaster ride and it is that experience that determines whether someone has the commitment and perseverance needed to succeed in business. While she might have benefited from formal business training, Jamie believes that even without a business education, anyone with a solid idea and commitment can succeed because they bring a fresh perspective and passion for their idea. Within five years, CertifiKID was a thriving business. According to an October 26, 2015 article by Thomas Heath of The Washington Post, CertifiKID had grown from $1 million in sales during their first full year (2011) to $5 million in projected sales in 2015. With approximately 300 deals going on any given day, Heath estimated the company would realize a net profit of $500,000 that year. CertifiKID works by running an advertisement for a discount coupon from hotels, theme parks, restaurants, summer camps, etc. As an example, a buyer might pay $10 for a certificate that is good for a $20 meal at a restaurant. CertifiKID then splits the sale with the restaurant. In the beginning the company concentrated on activities in DC, but currently features deals in 11 different cities, including New York City, San Francisco, Los Angeles, South Florida and Chicago, as well as some national coupon deals.